Height 5-40cm. Yellow/Green flowers in clusters July-August. Bright green leaves over wintering to a pale straw colour, but early to start re-growing in spring. 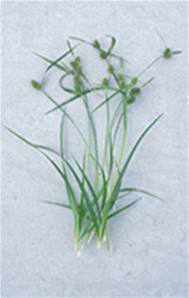 Native of damp grassy and boggy places and stony margins of lakes.